Jesus considered the spirit of the law to be above its literal meaning. In his time, ancient law decreed no work whatsoever could be on the Sabbath. The spirit of the law was to set aside a day for rest and worship. Yet, opponents felt the letter of the law was violated when Jesus healed a man on the Sabbath. Recently, United Airlines used the letter of the law to remove with violence an Asian man from an overbooked flight. 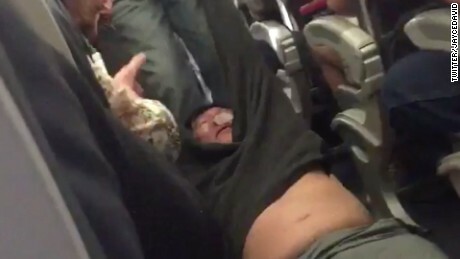 Using the letter of the law, security enforcement bloodied the passenger’s face and dragged him by the arms down the aisle. Frankly, travel is stressful enough. Belligerent? I’d raise my voice, too. I’m settled in, and then I’m told to get off and wait for the next flight? Every traveler has a memory of a perfect storm day of anxiety-delays-unhelpful-people. At some point, enough is enough. Disruptive? If a beefy officer leaned in and grabbed me, I’d be hollering, too. The absence of compassion hurts my heart. No sensitivity or common sense. The letter of the law is the new god before whom we must bow. What did the poor man do to deserve such abuse? He wasn’t a threat. He wasn’t bothering anyone. He had a paid ticket and needed to get home. Any one of us traveling to a sick child, a wedding, a funeral, or important business could be that man. Nowadays, the defense, “Well, it’s the law” covers a multitude of sins. Surely, United Airlines never thought the incident would be their direct route to PR hell. When the crew called in security, no one could foresee an innocent passenger bloodied, and dragged dazed, eyeglasses askew, down the aisle. Others with authority stand by and let bad things happen. Frankly, overbooking tickets protects airline profits. The execution of that law was beyond human decency. No doubt United Airlines will face litigation and extraordinary loss of revenue. When you insist on enforcing the letter of the law to its extreme, The Law of Unintended Consequences kicks in. Friendly Skies? Not so much. What burns me is the reason united airlines gave for this bullying incident: they needed four paid passengers to give up their seats for four united employees. What? Employees?? The flight “needs” of employees, who, I imagine, either fly free or at a discount, are more important to united airlines stockholders than flight needs of passengers paying full price?